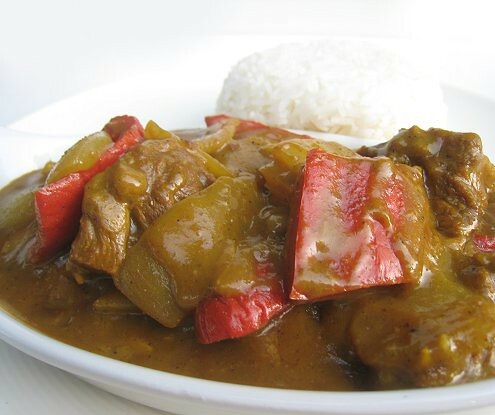 HK-style Curry Beef Brisket is one of the dishes that we get "on the outside". But, we were feeling a tad ambitious one day and decided to take on this project. 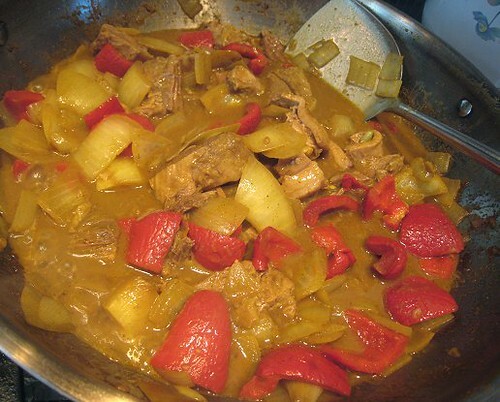 Having made a Hong Kong-style curry with baby cuttlefish before, we thought we could successfully recreate the beef brisket version. I believe we did the first thing right: we braised the beef brisket in a standard soy sauce, cinnamon, star anise, ginger mixture -- the usual Chinese suspects -- first. There it is the next day. We proceeded to slice them into big chunks, then prepped the onions and bell peppers. We also chopped some garlic and made our curry powder and sesame oil paste, as per the recipe we used for our cuttlefish version. ...but it doesn't really matter because our dish wasn't very HK Curry-ish at all! It wasn't bad, but it really wasn't what I consider HK Curry. I'm thinking that perhaps I overdid the curry? Look at its odd color. I really don't know for sure, though. 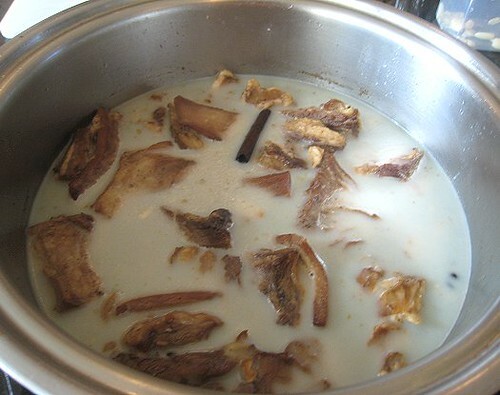 What is that magical mélange of curry and stuff that Cantonese cooks use? The best I could do was to plate our dish the way we see them in HK-style cafés: the curry in a dish like so, and a mound of rice. 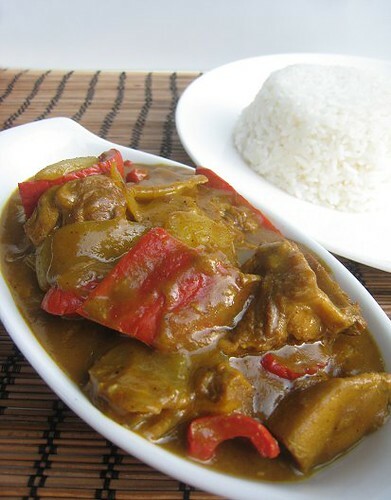 So, at least for now, we'll continue getting our HK curry on the outside, as there are numerous acceptable and more-than-acceptable places to get them. In fact, the version I like is available not more than 5 minutes away from home. I find it so hard to make curry at home that tastes like what you get out. I can make a good curry but never as good. You need some turmeric, ginger and coconut milk in in there. Yes its the coconut milk that makes the difference. You probably wouldn't need the other spices either. I don't think you're supposed to braise the beef in the traditional HK way - the star anise and soy sauce combination conflicts with the ingredients in the curry sauce. Does HK-style curry have these ingredients? We had to try something; it didn't seem to conflict too much as we didn't really use the braising liquid, just the beef.. But, i really have no idea! 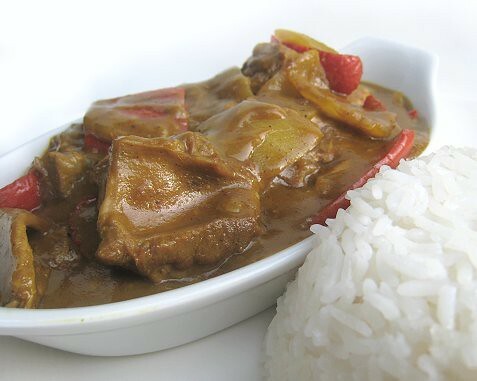 We really just don't know how HK cafes make their curries!